Barbara Ann "Barbie" Hoover passed away Monday, October 29th, 2018 at Holdenville General Hospital at the age of 55. 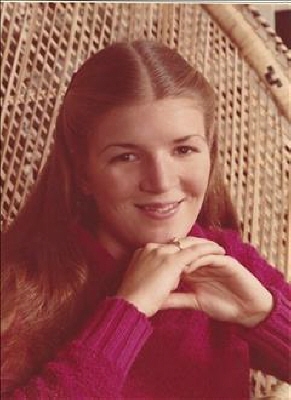 Barbara was born October 2, 1963 in Holdenville, Oklahoma to Billy Dean Bishop and Dee Ann Winningham Bishop. Barbara graduated from Holdenville public schools and later attended East Central University and graduated from the University of Oklahoma. Barbara married Jerry Hoover at the Harvest Time Tabernacle in Holdenville in 1987. Barbara was the Holdenville softball and basketball coach for many years. She enjoyed coaching, crafting, working in her flower bed and most of all spending time with her family. Barbara is preceded in death by her father Billy Dean Bishop. She is survived by her Mother, Dee Ann Bishop of Holdenville, Husband, Jerry Hoover of the home, son, Hunter Hoover and wife Ashley of Holdenville, daughter, Hannah Hoover of Holdenville, her sister, Debbie and husband Frank Meade of Weleetka, brother Willie Bishop of Oklahoma City, grandson, Weston Hoover of Holdenville and another grandchild on the way. Barbara is survived by numerous other relatives and friends. Funeral service will be 1:00 Friday November 2, 2018 at the First Baptist Church in Holdenville with Pastor Rob Lindley officiating. Pallbearers are Hunter Hoover, Jerad Winningham, Daniel Wood, Frank Meade, Wayne Meade and Johnny Massad. Interment will follow at Holdenville Cemetery. The Family request that Memorial contributions may be made to the Barbara Hoover Holdenville High School Scholarship Fund, 210 North Grimes Ave. Holdenville, Oklahoma 74848. To send flowers or a remembrance gift to the family of Barbara Hoover, please visit our Tribute Store. "Email Address" would like to share the life celebration of Barbara Hoover. Click on the "link" to go to share a favorite memory or leave a condolence message for the family.